Welcome to the 1st of many Blog posts on Braces-Friendly recipes! Having gone to dental school in Boston, Dr. Laura became well acquainted with the famous Flour Bakery. 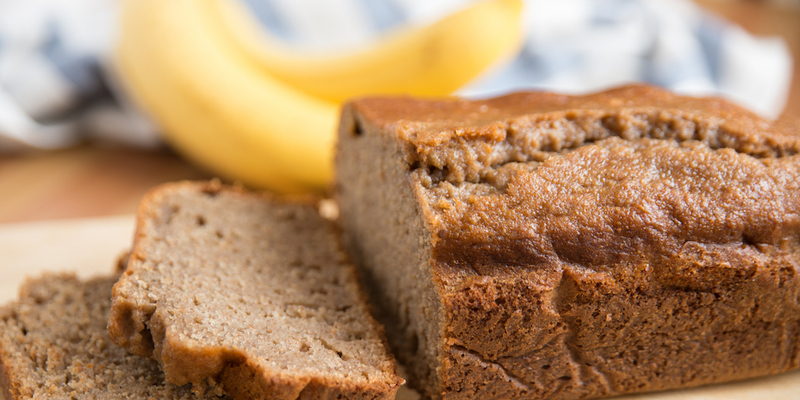 Banana bread has always been one of her favorite homemade treats, and she swears Flour Bakery’s Banana bread recipe is one of the best! Below is a recipe similar to what she remembers her favorite Boston treat tasting like. As always, you can add nuts or chocolate chips to make the bread extra delicious! Please let us know how you like it! 1 cup PLUS 2 Tablespoons of granulated sugar. Begin by preheating the oven to 350 degrees F (325 if you have a glass pan) – lightly grease a loaf pan. Sift together the 1st 4 ingredients (flour, baking soda, cinnamon, and salt). With a hand mixer, beat the sugar and eggs until light and fluffy (about 5 minutes). Slowly add the oil and mix well. Add in the mashed bananas, sour cream (or substitute), and vanilla. Fold in the nuts or chocolate chips, if adding! Pour into the loaf pan and sprinkle with cinnamon sugar, if desired. Bake for about 45 minutes – 1 hour, or until an inserted tester comes out with a few clinging crumbs. ENJOY!